Rated 5 out of 5 by biscuitsmama from Shadow Wolf is Back and Better than Ever The Shadow Wolf series is back and this time with Under the Crimson Moon, the fourth game in the series. IMHO, nothing could top Curse of the Full Moon and I was disappointed by the time the third game appeared but as Under the Crimson Moon begins we immediately become aware that things have changed and some exciting gameplay enhancements are coming our way. The game begins as you receive a letter from Ellis Cote who asks you to help solve the mysterious deaths in her town. When you arrive at her estate you are greeted by a vicious pack of wolves that are soon subdued by a horrendously ugly and monstrous werewolf, just the first of a few unexpected, scary moments. After you regain your composure and access the house you meet Ms. Cote and jump right into the investigation. As you move forward with the adventure, solving the mystery of the werewolf is becomes quite interesting, with more than a few of those scary, jump from the chair moments. The graphics are excellent and typical of ERS games but I do wish that the artists would get rid of the mistiness that is often present in some scenes. Aside from that, the ERS artistic team is very gifted when it comes to creating the characters in their games and brings them to life so that they don’t appear cartoonish and flat, which is one of the reasons that I have always loved ERS games. Where Shadow Wolf Under the Crimson Moon falls short is with the voiceovers, some of which are not very good and not at all typical of what I think the character should sound like. In addition to the out of character voiceovers, ERS has dropped the lip-syncing that made the first Curse of the Full Moon so incredible and elevated ERS to a top-tier game developer. Alas, times seem to be changing and we no longer see the realism that lip-syncing adds to a game. That being said, the remainder of the sound package is very good and has excellent ambient effects. The game has the tools that we find in most HOPA games with a diary that keeps track of not only our notes but of the evidence we find as well. We have a new tool in this game called an analyzer which we use quite often to identify “unknown” objects. Use of the analyzer is sort of a mini-game each time the unknown object appears. There is a transportable map but it does not indicate areas where you have objectives. 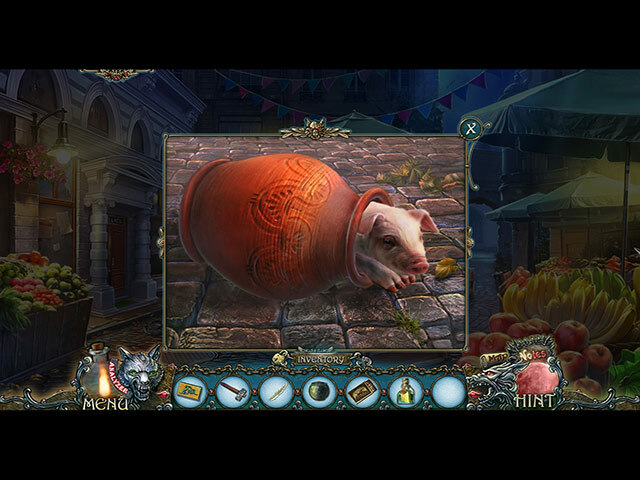 Under the Crimson Moon has a variety of interactive HOPs that are very typical of the types found in most other ERS HOPA games, but recently the developer has added the option of switching to alternative puzzles if you do not want to find items in the HOPs. The optional puzzle in this game is a match type puzzle reminiscent of a flow type game. Some of the puzzles I encountered in the game can be frustrating if you don’t take the time to really think about them. Since demo time is limited, I generally skip puzzles that I can’t immediately solve so that I don’t waste valuable gameplay time. That being said, most of the puzzles are the type that I enjoy. For me the CE version of Under the Crimson Moon was an immediate purchase and as I played the game I found myself being captured by the mystery and the gameplay: this is a game that I enjoyed from beginning to end, and I am now eagerly looking forward to the next game in one of my favorite series. I have no hesitation in saying that this game is a step up from more recent offerings from this developer and recommend that you at least try the demo to see if this is a game you will like. Rated 5 out of 5 by rosekaufmann from OUTSTANDING SUMMARY: Another winner that is simply awesome in this continuing saga of Shadow Wolf Mysteries. Graphics and animation are outstanding. Atmosphere is sinister and alarming. Objects to help you in your quest are unique. If you like the other Shadow Wolf Mysteries, this will certainly not disappoint. IF YOU WANT MORE THAN A SUMMARY, MORE DETAILS ARE BELOW FOR SPECIFIC TOPICS. STORY: Play as a detective in the 1890s, investigating a town held in peril by ferocious wolves and/or werewolves (you have to decipher which it is). There is a rumor that the next door neighbor is a werewolf herself or is harboring them and releasing them at night. Learn facts about werewolves, including the first one. GAMEPLAY: Plenty to do; somewhat linear; and lots of places to go, with some back and forth. But you have an interactive map to help you. There are HOS, puzzles and mini-games to help you move forward. Graphics and animation are superb. Wolves are popping out all over. When you meet someone new, use your "magnifying glass" to find out information about them. If you find an unknown substance, use your analyzer by putting the substance into a box, answer a few questions and get your prize for one of the puzzles. HOS, PUZZLES AND MINI-GAMES: The HOS are not too crowded and objects are nicely distinct. They are the "find X number of items" that are of a certain type (such as metal or related to werewolves). Good ratio of HOS and mini-games to puzzles. Mini-games are not too difficult, not too unique, and give you a prize. Puzzles are in the form of finding objects needed to complete them and thus move the game forward. Not too difficult, but you if you need 3 objects to complete the puzzle, you must find all of them to use them. OTHER STUFF: Voice overs for the people are very good; but they could have captured the sounds of real dogs, cats and owls, etc. They sound too mechanical, but still acceptable. You have a moon that illuminates areas where you can interact. You have a diary, but I could not turn the pages back to check something. Don't know if this was a glitch. Rated 4 out of 5 by coffeyfan77 from A Howling Good Mystery I've enjoyed the Shadow Wolf series, and I think one of the challenges of trying to continue cranking out new sequels is doing so without making things feel tired and stale. I have to give it to this game that it does exactly that, mainly through the decision of having things happen with or without you. Particularly in the first half of the game, a lot of things happen and there's a great deal of action. It really overshadows the hidden object part of the game in a good way and makes you interested to see the story through to the end. The solutions to the puzzles found throughout the game are varied and sometimes, frankly, a bit bizarre, but that's part of the fun. Voice acting ranges wildly, but everything is better than average in that regard. Minigames were perfect for me: just the right level of challenge. The story is a bit muddled, as you attempt to discover which character is a werewolf and go through various degrees of cobbled together backstory before the end, but who cares? It's fun anyway. The analyzer you use to figure out what things are was a cute idea, but a bit odd. Half the time you know what it is before you even put it in the computer, and very often you'd have no way of knowing whether something was artificial or not. But one thing is certain: You'll enjoy playing this game and feel like you wish there was more of it by the time it's over. Rated 4 out of 5 by Miribelle from ! A good game¡ An excellent game, with an extraordinary visual quality and an interesting story to tell. I really liked the idea of scoring the physical evidence of the suspects. Rated 4 out of 5 by catbag8717 from Good Gameplay, Confusing Story! BASED ON COMPLETED STANDARD EDITION GAME I'm well aware that there were 3 previous isntallments of the Shadow Wolf Mysteries series, but I never actually sat up and took notice of it until this game. This is one of the best games by ERS. I was intrigued from the beginning, and will be surely replaying this in the not-too-distant future. NOTE: Unfortunately, I cannot go in to detail about my thoughts on the story without giving away some possible SPOILERS. You have been warned. What initially attracted me to this game was its story. It had quite an interesting concept and, to begin with, was executed well. There were dramatic scenes at just the right moment, and there were quite a few nice twists. However, towards the end of the demo, things got a bit confusing. I shrugged it off after a good end, and purchased the game. After the demo, the story got much, much better. There were a lot of brilliant twists and turns, and I assumed the confusing elements were gone. We started definitely ruling out suspects, meeting new ones, and acting like a true detective. Kudos to the developers for putting in some brilliant twists! But then, our old friend confusion came back. There was a big lump towards the end of the game where everything just got so confusing it was bordering on ridiculous. First, we were definitely sure it was someone, then we definitely sure it was someone else, and then someone entirely different was revealed as the culprit! All this happened in about 5 minutes. Just as I was starting to wrap my head around the fact that someone was definitely our culprit, the game would throw me a “nope, now it's them,” curveball. This was not the only confusing thing about this story (there were many others), but it was definitely the most prominent. Confusing stories are so frustrating for me as a player because they take away the enjoyment. I wanted things to flow logically, and this game did not do that for me. One thing I was impressed with was the story's length. Every time I thought “wow, I'm almost done,” the game would take a new direction and I'd be nowhere near the finish. This game was definitely the longest I've seen in a while. Let's talk now about the ending. I didn't like it at all. Once all the confusing stuff was done and things started making sense, I realised I was almost at the end, so I was expecting a great ending. Unfortunately, I didn't get that. Don't get me wrong, it is 100% conclusive, but compared with the rest of the story, it was just so poorly done! I think, before releasing, ERS should have taken the time to go over their story. If they had, they would have realised it was sub-par and changed it for the better. Overall, a decent story with some fantastic twists, but it was somewhat marred by all the confusion. For their next game, ERS needs to make sure that everything makes sense and they aren't just throwing in things for shock value. I have honestly never seen a more confusing story in my life. The gameplay was quite good. The HOS were good, but weren't anything new. One thing I was impressed with was the many varieties of HOS. The HOS came in these forms: Misplaced items- In your inventory there would be several items which needed to be put back in the scene. Probably the most challenging HOS of all. It was quite fun, but I did need to use the hint a few times. Silhouette junkpile- Like word list junkpile, but with silhouettes of the items instead. Word-list junkpile- included extra step objects. Probably the easiest of them all. Group junkpile- in these HOS, you had to find either a large number of the one item, or match two of the same item together. Very simple, but enjoyable. I did thoroughly enjoy all HOS. There were quite a few in this game, but they were spaced out evenly. Some scenes were visited twice, others only once. Overall, ERS has done a great job with the HOS. However, I did not enjoy them as much as usual. It was partly due to all these different ones. Sometimes, I found myself yearning for just an interactive word list. The puzzles were very much the same old, nothing we haven't seen before. I really enjoyed attempting them. They varied in difficulty; some easy, some hard. As a result, I had to skip a few of them. Like the HOS, the puzzles are spaced out very well and there were a fair few in the game. ERS has done a fantastic job of balancing out the HOS and puzzles, and for that, they must be commended. As far as extra gameplay features go, this game has some great ones. There are two additional gameplay features here, and they are very relevant to the detective theme of the game. One of these features is the magnifying glass minigame. Every time you met someone (a new suspect, or an old one after a dramatic event), the scene went grey and a magnifying glass appeared. Then, you had to move the magnifying glass over until you found pieces of evidence, which revealed something new about the character. The number of evidence pieces would vary. I loved this feature for two reasons: not only was it extremely fun, but it also made me feel like my character was actually a detective, and not some citizen wandering around saving people for fun. This feature appeared a few times in the game, and its appearances were spaced out. The other gameplay feature was the Analyser. It was a new feature and a good one. Similar to the other gameplay feature, the Analyser made me feel as if my character was an actual detective. The way this minigame worked was you put an “unknown” item (marked in red) in to the analyser box and had to answer a series of questions about it. These were questions such as “is it toxic?” or “what state is the product in?” This was fairly simple and straightforward, but still fun. My issue with this is that it was rarely used after the demo. It was used three times in the demo period and about five times for the rest of the game. I would have liked to have seen the Analyser used a lot more than it was. What's the point in having such a great feature if it rarely gets used after the demo period? The basic gameplay features have been done quite well. There is a diary, which has two separate tabs for the story and evidence; there is a map, which is very helpful, as well as a working hint. I was impressed that ERS went through the effort to make the navigation easy. As far as level of challenge goes, this game is basically standard, It isn't too easy (I used the hint quite a few times, actually), but it isn't too hard. The hardest element of this game for me was the puzzles. I don't know if expert players will like this game though, because it does not offer that much of a challenge. The graphics are standard ERS. They are hand-drawn with some nice detail and very life-like character designs. The colours are nice and are well-suited to the game's atmosphere. Scenes are clear. Unfortunately, there is no lip-synching in this game. I have one issue with the voice-overs. For a game set in France, there were some very “American” mispronunciations. My main criticism is with the character of the Undertaker, Jacques. Not only was his voice very annoying, he frequently mispronounced things. He pronounced “Jacques” (pronounced Jark) as “Jakwees”. This took away from the French feel of the game and was just downright laughable. If you're going to set a game in another country, you should definitely do some research on how to pronounce things! FEATURES 3 modes of gameplay: Casual, Advanced and Hard. I was very disappointed to see a lack of Custom mode, especially since it has been appearing in almost every other game these days by not only this developer, but all others too. I played Casual. Hint/Skip- Both recharged at a decent speed for the difficulty I selected. Hint is useful outside HOS. Diary- The diary was useful for keeping track of important events. There were two separate tabs: one for story, one for evidence, which was great. Map- The map was very helpful. It let you know where you had a task to solve and when each location was complete. Magnifying Glass game- used to collect evidence against suspects. Great feature. Analyser- The Analyser was used to examine unknown substances and really added to the detective feel of the game. Not used often after demo. Still a great feature. WHAT DO I MISS OUT ON IF I BUY THE SE? Bonus Chapter- not needed. Game ending is 100% conclusive. Built-in Strategy Guide. Achievements Collectibles- all different things, not just one set. Music Wallpapers Concept Art Screensavers Replay HOS & Puzzles WHICH IS THE BETTER BUY? Most definitely the SE. There's not a lot of Bonus Content in there at all. The Bonus Chapter is not needed, and then all you're left with is just the usual stuff. Save money, go the SE. Overall, this earns a four star rating from me. The reason this isn't getting a five star rating is because of some very confusing parts to the story. Had the story been better, I would have given it a five. Either way, still a very good game. ON THE GAME LENGTH This game was very lengthy. It was much longer than any others I've seen these days. I'd estimate at least 3 ½ hours on Casual mode, which is a very good game length for me. Rated 4 out of 5 by pamipets from Good series I've had lots of fun w the Shadow Wolf series. I just have to say that I agree an awful lot with Average Size Fish's review regarding the cruelty. I understand that the devs had to be consistent and follow through w the theme. I get it. It's just that there are people out there that are impressionable enough to think wolves are evil, and that leg traps are not so bad. This only perpetuates man destroying an awesome species that adds dimension to the natural world. End of rant. Rated 4 out of 5 by steve_san from Upon Further Review I wasn't "over the moon" about this game when the CE came out, but I gave the SE another chance. Based on playing it again, I would like to revise my original review. 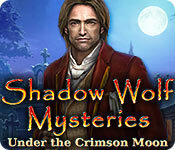 You are a detective investigating the wolf or werewolf attacks that began a short time ago in a small town in France. The year is 1897. There are many animals around. In addition to wolves, during the trial there is a small dog, a cat, a snake, a frog, an owl and a monkey. The "Sherlock Holmes" style of observing clues when introduced to each character is a nice touch - not difficult, but adds interest and back story to each. The play is not difficult, but neither is it as easy as most recent games have been. The drawing is very colorful , but without a definable palette or style that would set the game apart. Sound effects and voices are good to very good. The werewolf aspect of the story is prone to excess, but hey it IS a game after all. A minor issue: in the beginning when you "observe" the young woman Ellis Cote, you note that her locket is missing because "it appears in all the pictures of her." However, in the large portrait on the wall, she is definitely NOT wearing a locket. 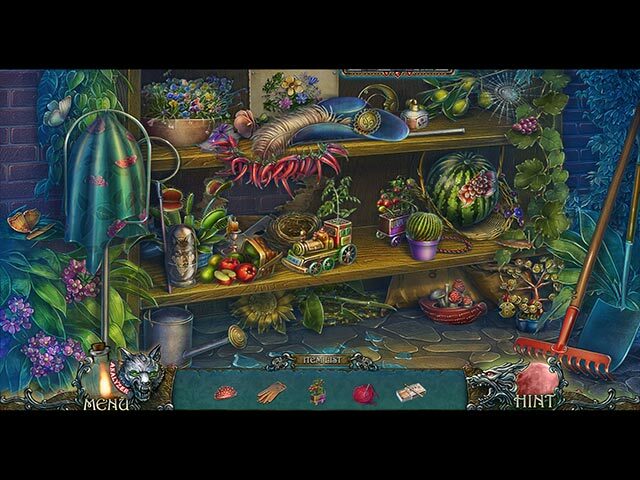 The game play is more weighted toward puzzles than hidden objects and there is a variety of type, but nothing really new. In addition to your "observations" there is a device called an object identifier. You place objects into it and answer a few questions to determine what the object is. This was the weakest aspect of the game as the answers are mostly trial and error. As the song goes, "the moon belongs to everyone, the best things in life are free." This one is worth a small investment. Rated 3 out of 5 by Kirbmeister from This Game Clears the Fence....But Barely This game had the potential to be a really excellent game. Unfortunately, it seems to have been shortchanged. The story line is worn, (Werewolf), the game play shows signs of laziness or inattention and the soundtrack is tedious with continuous wolf howls every time your character is outside. You play of course as "Detective", wow that is new. You are investigating a series of animal attacks which some believe are due to wolves and some blame on a werewolf. One unique feature which is totally botched is your ability to investigate a new character with your magnifying glass and make determinations concerning that person based on physical clues you see. This is rendered stupid. For example when you look at an elderly gentleman hanging upside down in a snare intended for a wolf and by simply looking at his face you determine his age, health and the fact he will die in twenty minutes. That is some great detecting. Yet you are not smart enough to have a pocket knife in order to cut him down and save his life. This is basically a mini HOS disguised as something new. There is another feature known as the "Analyzer". This allows you to place "Unknown Objects" into it to determine what they are. You are asked a series of questions which you either get right the first time or you keep on until you do get them right. There is no reward for getting it correct or any penalty for not. You get it right in the end which is simply a waste of time in a new way. Another sign of time wasting is the use of two "keys" to open a lock. Instead of just one medallion to place in a chest, you need a medallion and a gem, (you get the idea). This game is good enough to rate a purchase ON SALE, but barely. It is too good to overlook, but not good enough to get excited about. If you love the wolf theme you may get more out of it. As it is, the newer ideas the developers attempted just add a burden and do not provide any benefit to the player. Rated 2 out of 5 by FurbyFarmer from Not Impressed This is my first Shadow Wolf game, if the others in this series are as boring as this one....this will be my only purchase. I saw some rave reviews for this game, I leaves me wondering how the other games of the series could be more boring and the story still continued to be produced. It started off good enough and different. Somewhere along the way it just got boring. A lot of back and forth, which I don't mind if the game is good. The analyzer was different, but it turned into a pain after the first couple of times. I played it on the hard setting, but there wasn't really much of a challenge. It's one of those games that I couldn't wait for it to be over. When it was over, it ended abruptly. I bought it as the daily deal, I wish I could get my 2.99 returned. Try the free trial for yourself, but beware, it goes down hill from there. Rated 2 out of 5 by phoenix_25 from Disappointing...Slight Spoiler I've been with BFG for yrs so I'm familiar with ERS games. The problem with this company is they put out games too fast and in this one it shows. It's fun at first and interesting.... werewolves, an analyzer, making observations when u first meet a character...felt like Sherlock Holmes. Then after a few chapters the analyzer becomes more annoying and pointless than interesting and then u realize that THERE IS NO STORYLINE. It's like they threw almost every story plot at this. Got so fed up with the twists and continuity problems that I just wanted the game to end. I'm still not sure if Ellis is dead or alive and Martha seems to be in two places at once. Several things hinted at in the game beginning were not addressed. The graphics feels very deja vu and recycled like u saw that same character in another of their games. Had to give this a low rating. Annoying. Pointless. Waste of time. Rated 1 out of 5 by AverageSizeFish from Leg hold traps for animals isn't game material This game includes depictions of wolves attacking and biting people. wolves having guns pointed at them, and leg hold traps being set out to catch them. There is dialogue where other people tell our character they have gone out and shot wolves. I am strongly of the opinion that violence towards animals should not be considered "entertainment" suitable for a computer game. I am also strongly of the opinion that wolves have a hard enough time in this world without being maligned in the way this game maligns them. On top of the distasteful and repellent storyline there are two ridiculous contrivances that made the game feel silly. The first is the character's magnifying glass that pops up whenever he meets someone. It would be one thing if you could decide for yourself when is the right time to use it but as it is it feels like a way for the developer to advance the story without allowing you to figure things out on your own. The second is the detective's "analyzer" which asks questions that you must answer as it identifies things for you. I'm fairly sure that if you answer incorrectly it will tell you the right answer rendering the whole exercise pointless. Overall, this is a game with a horrible storyline that brought visions of wolves laying broken and bleeding with their legs caught in leg hold traps to my mind. 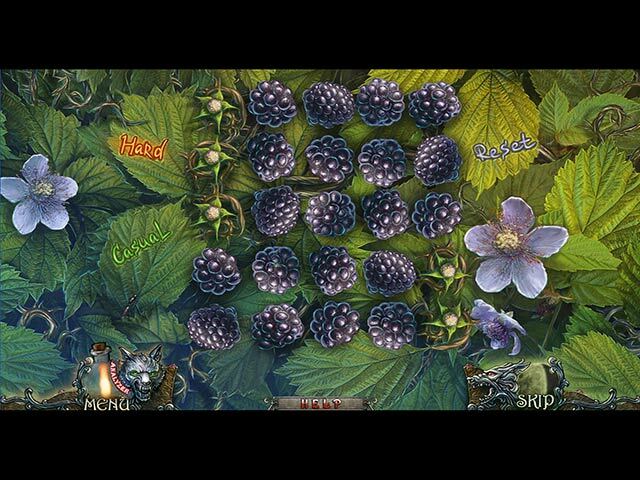 I play games to have fun not to think of cruelty to animals. This game is not fun at all nor what I'm looking for when I sit down to spend some free time relaxing. For the storyline alone this game gets a one from me.